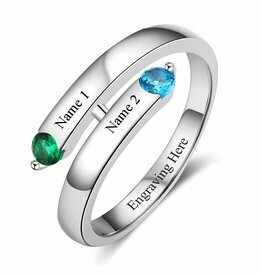 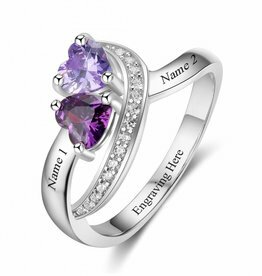 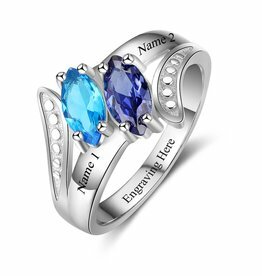 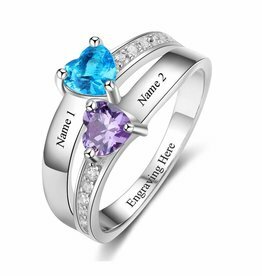 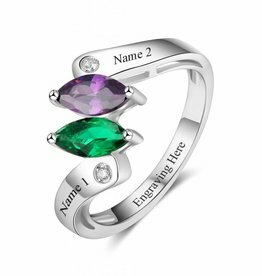 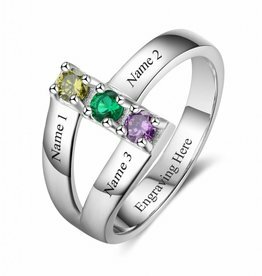 Ring of sterling silver with two birthstones and place for 2 names. 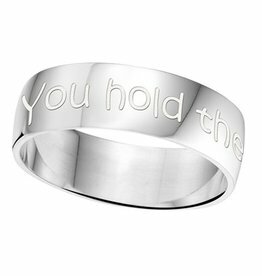 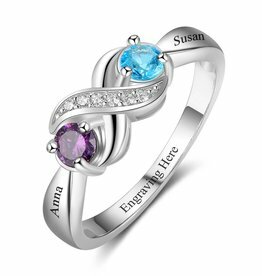 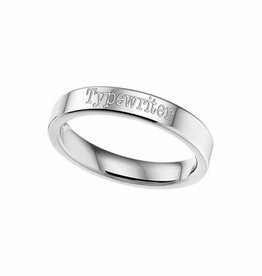 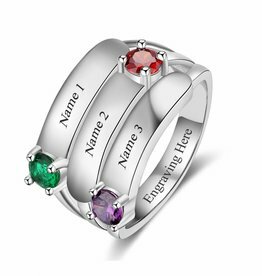 Ring of sterling silver with three birthstones and place for three names. 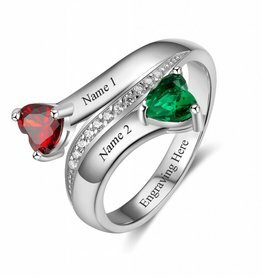 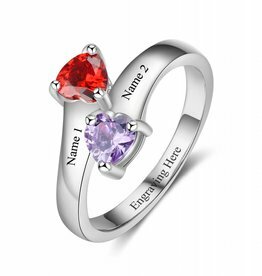 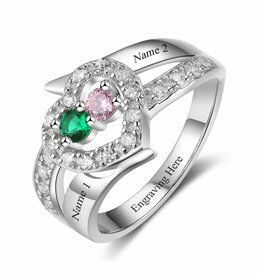 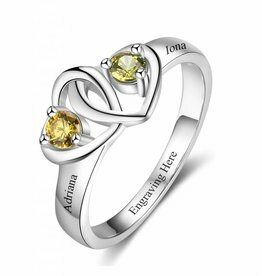 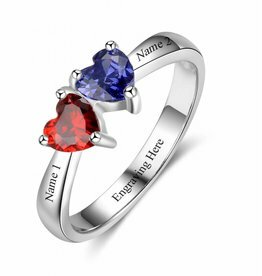 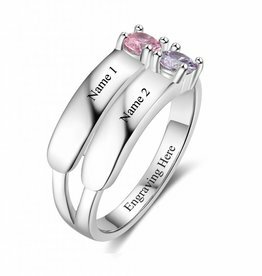 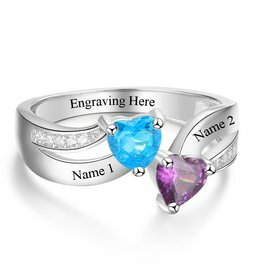 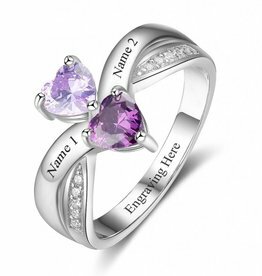 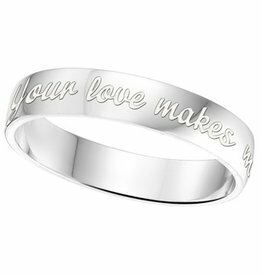 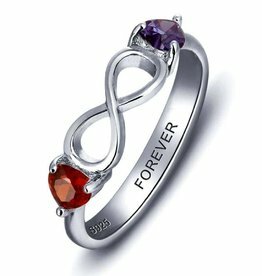 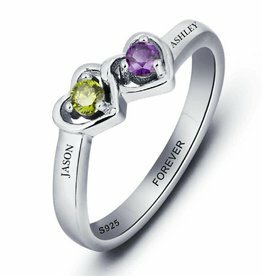 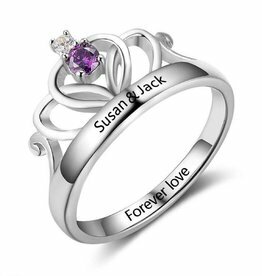 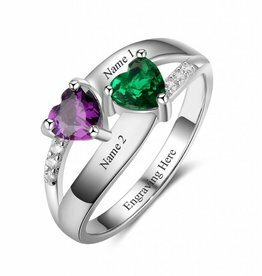 Ring of sterling silver with two birthstones shaped as hearts and two names.